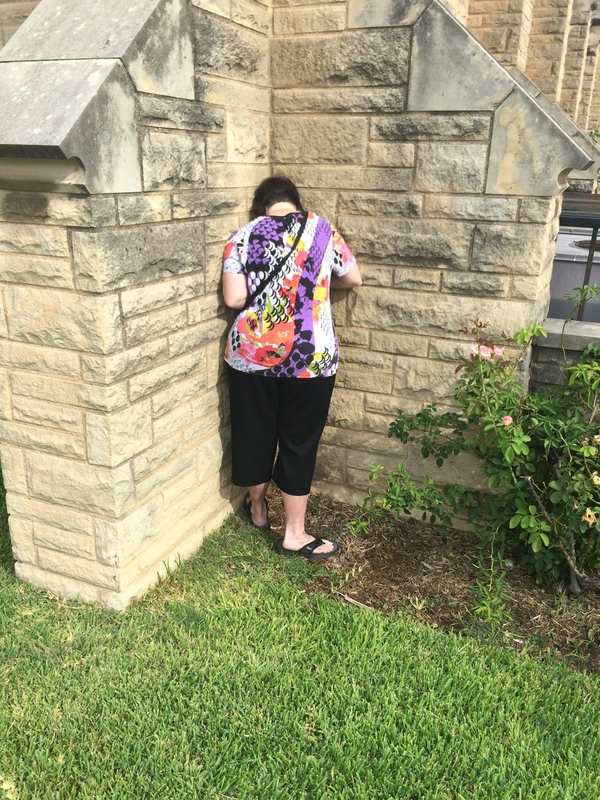 Last Sunday, after church, Tina told Sonya to hide from me. This is Sonya “hiding” from me. Have you ever heard the saying….if I can’t see you, you can’t see me?!! This entry was posted in Uncategorized on September 27, 2015 by treerabold. Oreo and Sonya could play the shortest hide and seek game in history, as they hide the same way!